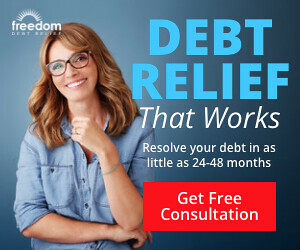 When Americans visit Freedom Debt Relief,1 they may be surprised to learn that people have been able to resolve their debts in as little as 24-48 months* through their program. What's more impressive is that, if you are experiencing a financial hardship, you too could resolve your debt for less than what you owe today. With millions of Americans still suffering from credit card debt, it's time struggling Americans start learning and taking advantage of this service. Freedom Debt Relief,1 a sister company of Bills.com, is one of the largest companies in the industry with years of proven experience. To date, Freedom Debt Relief1 has resolved the most consumer debt (over $3 billion dollars) in the industry! They've helped thousands of ordinary Americans get back on their feet. To find out if you qualify, simply answer a few questions about your debt and financial circumstances. It only takes a few minutes to get a free, no obligation quote. You'll also have the opportunity to speak with a certified debt consultant to review your specific situation and learn more about your options. Stop struggling with your debt and find out how you can finally tackle it for good. 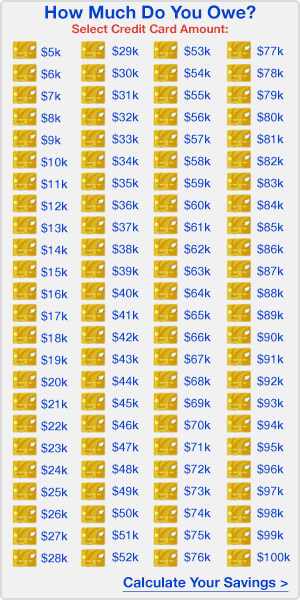 1 This article is sponsored and compensated by Freedom Debt Relief, LLC, an affiliate and related company of this site.